NEW ! USB to MSX mouse adapter Towns Roland works with optical wireless mouse. ¡ nuevo! Ps/2 Para Msx Mouse Adaptador ciudades Roland funciona con Optical Mouse Inalámbrico. NEW ! 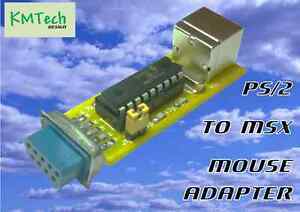 PS/2 to MSX mouse adapter Towns Roland works with optical wireless mouse. Se requiere el pago inmediato de GBP 21,99.